A separation agreement is a voluntary contract between a husband and wife (or ex-spouses). It may be signed no sooner than separation, and may be signed at some later date, even after the parties divorce. The parties can settle some or all of the issues, including child custody, spouse and/or child support, and marital property and debts. The laws are written to encourage settlement instead of litigation. Therefore, a properly drafted separation agreement is extremely difficult to change or void. What Things Can We Include in the Agreement? Because they are contracts mutually agreed upon, separation agreements can include just about anything. One of my favorite war stories involved a case where we agreed on horse custody and visitation. We included terms about which horses would stay where, and when each horse would be with each . . uh . . . horse parent. It also referenced the rules about future romantic partners to ride the horses. That type of outcome will never happen in court. In our state, horses are legally treated as personal property no different from a television or set of china. Express Lane: Is There a Form I Can Use? Even some attorneys who don’t handle family law cases, or just dabble in family law, do not realize there is no “boiler plate” form. In fact, separation agreements are popular because they can be customized to whatever terms agreed upon by the parties. Imagine going to a mechanic and asking for “the standard repair.” All cars have tires and a steering wheel, but a Corvette and a VW Bug don’t call for the same repairs. It is no different with attorneys who draft separation agreements. Some are very complex, but others might not be. While separation agreements do have certain magic words for the more routine things, such as jurisdiction of the court to interpret the agreement for example, a good attorney will address dozens of other issues specifically. For instance, the agreement might include a disclosure paragraph that dictates whether the parties are obligated to tell each other about hidden assets, or address certain significant tax consequences by carefully categorizing a payment made in the settlement as support or property distribution. Separation agreements can be written to spell out the types of enforcement mechanisms that will be used if it is violated. 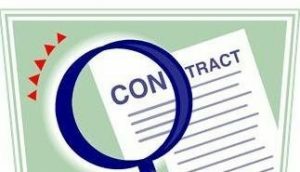 The agreement may be treated like a contract, which is enforced by a lawsuit based on breach of contract. Other times, the agreement may be drafted to become a court order at some later date, enforced directly by the court. The agreement can say that violations will trigger certain consequences. Or, it may dictate when and how child custody and/or support lawsuits can be filed at some later date. All of these enforcement options are another example of ways attorneys draft agreements based on each client’s specific needs and priorities.